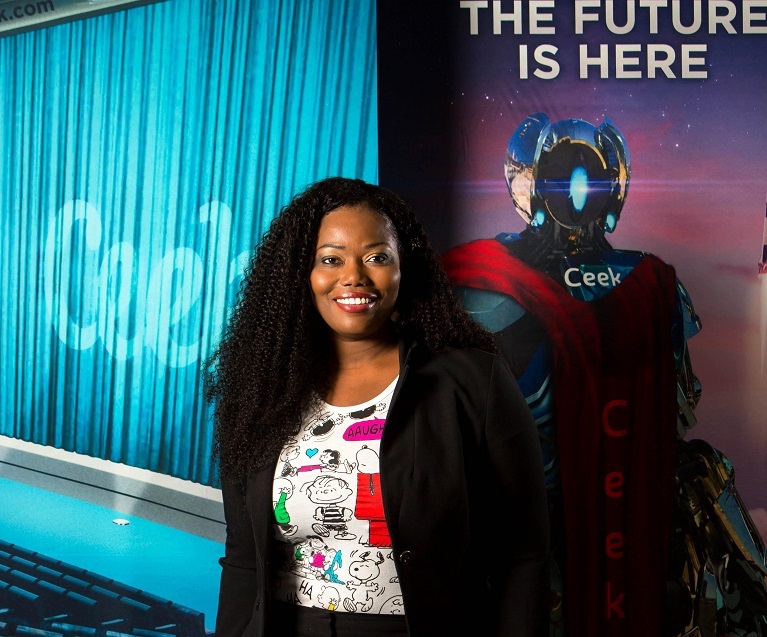 Mary Spio ’98 will deliver the convocation speeches at the College of Engineering and Computer Science’s ceremony and the iSchool’s ceremony on Saturday, May 11, 2019. Spio is the founder and CEO of CEEK VR, a developer of premium social virtual and augmented reality experiences that simulate communal experiences, such as attending a live concert, being in a classroom or attending a sporting event. She is a graduate of the College of Engineering and Computer Science where she majored in electrical engineering. Spio was born in Syracuse, moved to Ghana at a young age and returned the United States when she was 16 years old. Prior to attending Syracuse, she enlisted in the Air Force as a wideband/satellite communications technician. After earning a bachelor’s degree, she pursued a master’s degree in electrical engineering and computer science from Georgia Tech. After college, Spio began working at satellite communications firms, where she had the opportunity to design and launch satellites into deep space on a NASA project. Spio’s work with NASA led her to become the head of satellite communication systems for Boeing where her technology influenced major motion picture distributions through satellite technology. More information about all Commencement weekend ceremonies, including the Universitywide Commencement on Sunday, May 12, is available on the Commencement Weekend website.